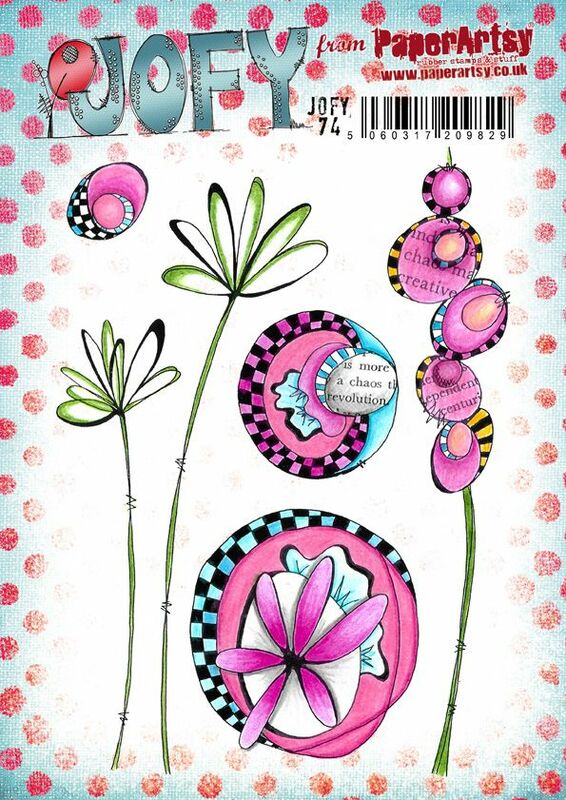 JOFY 74 (JOFY74) stamp set for PaperArtsy - Stampers Grove is a webshop and mobile craft shop. These stamps are designed exclusively for PaperArtsy by Jo Firth-Young. Deeply etched red rubber, each stamp individually trimmed and presented on EZ mount foam. A5 size stamp plate. (5 inch by 7 inch). Released March 2019.